At the last federal election in Germany, in 2013, Chancellor Angela Merkel's campaign managers decided to do a little experiment. They wanted a scientific gauge of the effectiveness of door-to-door campaigning. Was this old-fashioned mode of engaging voters still relevant in the age of social media? They randomly assigned wards with similar characteristics to two groups. The treatment group saw more houses than usual covered by house visits, while the control group received an ordinary dose. The result? The treatment group that got more house visits had a vote share 2 to 4 percentage points higher. The result held in both urban and rural wards. Human touch, it turns out, can still make a big difference. This story was told by Dr Mario Voigt, an experienced campaign strategist for Dr Merkel's party, the Christian Democratic Union (CDU). He was in Singapore earlier this week to speak at the Asian Conference for Political Communication, organised by German think-tank Konrad Adenauer Stiftung. "Politics is a contact sport," said Dr Voigt, 40, referring to the need to connect with voters in a personal way. In Germany, the rise of social media is not crowding out or reducing the need for offline forms of campaigning, he observed. Instead, online and offline methods are complementing each other, resulting in greater voter participation overall. First, social media helps publicise physical meetings, so more people are turning up for events, he said. Second, people stay on after the end of physical meetings to take selfies with their favourite politicians, to post on Facebook. The impact of a physical meeting is hence amplified by the added online footprint. Third, it has become an important way to mobilise young people. The CDU has a smartphone gaming app, for instance. To advance in the game, players have to complete tasks related to the campaign in the physical world - one of which is none other than knocking on doors. The competitive aspect of such games appeals to the young, says Dr Voigt. You rise up the ranks - and the highest attainable rank is "Chancellor Maker". In Germany, young people have tended to participate less in elections, voting less frequently than seniors, for example. (Voting is not compulsory in Germany.) While social media has not corrected this fully, it has driven some behavioural change. Dr Voigt notes that the young tend to be activated by projects and by social networks. So to mobilise them, you need to give them something concrete that they can do with their friends - which is exactly what CDU's game app does. What does Germany's experience mean for elections in Singapore? Here, door-to-door campaigning remains a central part of elections. Candidates spend a lot of their campaign time knocking on residents' doors. The two parties in Parliament - the People's Action Party (PAP) and the Workers' Party (WP) - are historically strong believers in house visits. They, in fact, make such visits in between elections, albeit at a lower intensity. 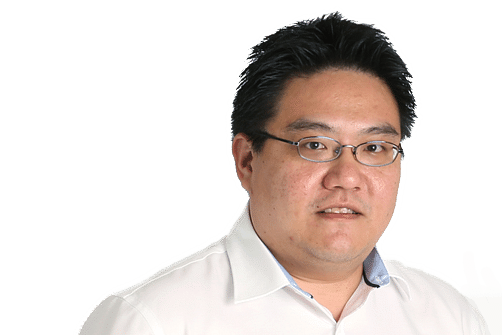 The way politics is done in Singapore has always been fairly high touch- perhaps owing to the density of the city state, and the relative ease with which political parties can meet many voters in a short time. Indeed, this goes beyond house visits. Politicians seek out citizens in markets and hawker centres, and outside MRT stations and bus terminals. They attend wakes and weddings - including those held in the void decks of public housing blocks. They hold Meet-the-People Sessions to tackle problems individual residents face. They run activities to increase face-time with and among residents, from block parties to traditional festival gatherings. PAP MP Baey Yam Keng meets residents for coffee at a monthly local event - KopiTalk - where he discusses the latest policies with them. WP MP Pritam Singh exercises with seniors in his ward once a month, in a programme called Walk-to-Bond. At the session where Dr Voigt spoke, lawyer Daniel Tan, long-time campaign volunteer to PAP MP Charles Chong, said offline engagement is still "vitally important". The German experience suggests, first, that Singapore parties are on the right track, and, second, that the recent rise of social media in elections here should be used to facilitate physical contact and augment the impact of offline campaigning - not replace it. On top of being effective, physical engagement keeps a democracy healthy. First, it is relatively low-cost. So if physical campaigning stays central in Singapore politics, barriers to entry for newcomers will remain low. Second, politicians who come face to face with voters stay rooted in the electorate and are kept honest. They have to answer questions that voters pose to them directly. They also develop a better sense of voters' concerns and needs. And they are constantly reminded who it is they serve and whose lives are impacted by the policies they decide on in Parliament. If physical campaigning is effective and keeps politics robust, then the fact that most Singaporeans live in public housing and not private condominiums bodes well for the system - since house visits are harder to do in condominiums; campaigners are known to have difficulties getting past security. Perhaps it is for the Elections Department to consider issuing guidelines to nudge condominium management committees towards a greater openness to house visits. I am reminded of an anecdote that political scientist Lam Peng Er tells in a chapter he contributed to the book, Change In Voting, about the 2015 General Election. He writes of his mother living in the Holland-Bukit Timah Group Representation Constituency. She voted in both the 2011 and 2015 general elections. The same two parties - PAP and the Singapore Democratic Party (SDP) - contested the constituency each time. His mother voted for SDP in 2011, then PAP in 2015. He asked her "in puzzlement" what prompted the switch. He wrote: "Apparently, it had little to do with policies but with the human touch. "Earlier, PAP MP Sim Ann spoke to her during a house visit. Months later, Sim Ann greeted her as 'Auntie Lam' in another house visit. And my mother was delighted that Sim Ann could still remember her name. Sim Ann got her vote."